For many years our team here at A. Pietig Concrete has served the Edina area. There are many beautiful neighborhoods that we routinely work in. As a leading Edina concrete contractor we strive to better communicate with the local community by creating some new photo galleries. These will show you a sampling of the work that we’ve done to give you a better idea of what is possible with your home and for you to see our attention to detail. 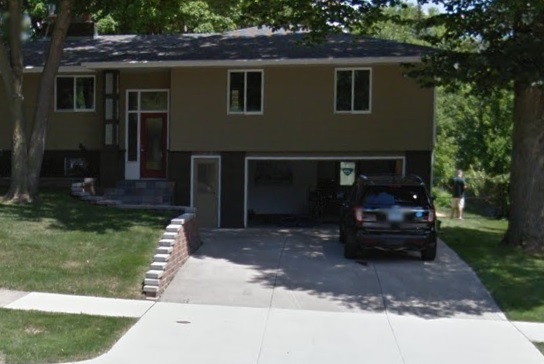 Recently, we were contacted by a house flipper looking for a concrete driveway in Edina. He was getting ready to sell the house, but wanted to make sure the first impression of the house was suitable for higher end clientele. He asked us if it was possible to install a new concrete driveway that would flow seamlessly into a polished concrete garage floor. We scheduled a no-cost consultation, so our professional team could take a look at the area and provide an estimate. We met with the house flipper at the property and he showed us how he wanted the concrete garage floor and driveway to look. He showed us where he wanted the landscaping in the front yard to be as well. We offered him a few tips for the house and gave him an estimate that he was happy with, then scheduled us to start on the project as soon as possible. The crew arrived bright and early to start building the concrete driveway and garage floor. The crew was happy that the sun was shining and there wasn’t a cloud in the sky. The crew worked non-stop throughout the day until the concrete driveway pieces were poured, then the crew returned the following day to start the concrete garage floor. The concrete garage floor was going to be a clean mix poured straight, then polished and coated to make it stand out and look nice for the potential buyers. We were able to do the job on his schedule without a problem, and the crew finished a day early. The customer contacted us a few weeks early to let us know that he was able to put the house that he had flipped on the market and it sold in record time. His realtor told him that adding the new concrete driveway and garage floor had increased the value of the home considerably. The customer just wanted to thank us for doing a wonderful job and helping him get a better price for the house than he even expected. The customer also said that he plans on working with us again in the near future, because he purchased another home that he is going to try to flip. He wants our company to install a concrete driveway and concrete patio at this home too. A. Pietig Concrete & Brick Paving has just earned another customer with our professional concrete and brick services. Why is A. Pietig Edina’s #1 concrete company? It starts at the top, with owner Andy Pietig, who has over 15 years experience. He and his crew are leaders in local residential and commercial concrete and brick paving industry. Our services include concrete driveways, brick pavers, stone, masonry, cement and retaining walls and more. Every project is the most important project to us. That’s why no project is too large or small and is completed with pride, precision and passion to provide you with the results you deserve and want. We have an A+ rating with the Better Business Bureau and are recognized as an industry leader on Angie’s List. Learn how we can help you – and how we became Edina’s #1 cement contractor by calling us at 952-835-0393. We take pride in our work – and it shows. That’s why we’re recognized as an industry leader through our award-winning concrete paving services. When it comes to installing and designing driveways, cement patios, garage floors, sidewalks and steps, retaining walls and more, we are known for exceeding expectations and providing the exceptional results customers want. Owner Andy Pietig has over 15 years experience and is highly respected by his customers, vendors and industry peers. We became a leader through outstanding craftsmanship, service and attention to detail. We’ve already completed thousands of projects throughout the Twin Cities area. Let us complete yours next! Start by calling 952-835-0393 today! When it comes time to find an Edina brick paving services company, there’s only one company you need to contact – A. Pietig Concrete and Brick Paving. We’re a leading provider of brick paver driveways and are experts in creating, installing and designing paver patios, paver sidewalks and more. We take great pride in our work – which is proven by our A+ rating with the Better Business Bureau, numerous outstanding testimonials and respect and recommendations given through Angie’s List. If you need brick paving services, look no further than A. Pietig. Call us today at 952-835-0393.